Merida combines German design and engineering with Taiwanese production expertise to create a wide range of high-quality bikes that provide outstanding value for money. Merida uses the Shimano STEPS system on all their 2019 e-bikes. The eSPRESSO models are Merida’s city and touring e-bike range. 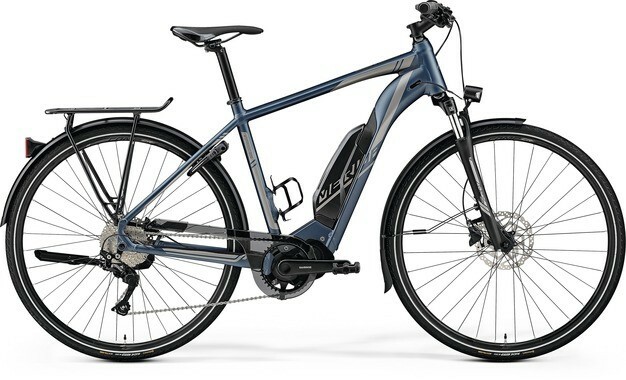 The 200 & 300 models feature the new Shimano STEPS E5000 drive unit which provides a great entry point into quality e-bikes, while the 500 model features the also new, but more powerful STEPS E6100 drive unit. The 200 & 300 models are controlled via the E-tube Ride app on your smartphone, rather than through an on-board display. The “EQ” models come equipped with mudguards, rack and integrated lights. The “L” models feature a lower stepover height for easy access. The “City” models are the stepthrough versions for even more convenience in getting on an off the bike as well as a more comfortable and upright riding position. All eSPRESSO models come with a large battery for long rides without range anxiety.